What thoughts and feelings spring to mind when you hear „silicones“? Breast implants and the Poly Implant Prothesis (PIP) scandal, am I right? PIP was a French producer of silicone gel breast implants, founded in 1991. In 2010 the scandal about low-grade breast implants of the French manufacturer PIP made big waves because for manufacturing breast implants low-cost industrial-grade silicone was used since 2001 instead of the mandated medical-grade silicone they had previously used. Hundreds of thousands of these unapproved implants had been produced and sold by PIP over nine years. It was found out that industrial-grade silicone had a 500% higher risk of leaking and/or rupturing. 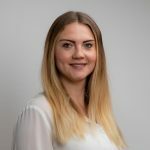 The National Health Service (NHS) and the Scientific Committee on Emerging and Newly Identified Health Risks (SCENIHR) reported that there is no evidence on a higher harmfulness to health than other implants show. After stopping the production and sale of those implants, PIP tried to play down and cover up this scandal however. However, a full recall of PIP’s implants was prompted by the French health ministry in 2010. On authorities’ recommendation more than 18,000 women only in France decided to remove PIP implants. Based on this incident, Bernd Diehl and Andreas Formes developed a new method for the investigation of the silicone structure in breast implants by NMR spectroscopy. How can we distinguish between medical-grade and industrial-grade silicone? 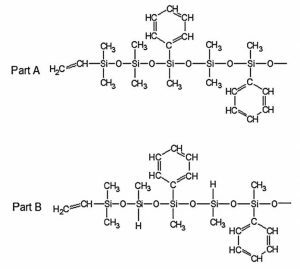 For that we have to understand chemistry of the silicone. Medical-grade silicone is usually made of highly cross-linked silicone rubber which remains in the implant even if it is cut into pieces. The silicone structure of implants is easily examined by using 1H NMR spectroscopy to classify and control the quality. The sample preparation for qualitative analyis is presented in Fig. 1, for quantitative analysis in Fig. 5. The terminal groups as well as the functional groups are spectroscopically determined. By taking the terminal groups into account the average chain length is calculable. This information is quite important for the classification of the material. Four types of silicones were presented here. MED-360 is common silicone oil with a poly-dimethylsiloxane structure. The others (MED3-6300 (Fig. 2), MED-6400 and MED-6600 (Fig. 3)) are functional rubbers which consist of two components whereby part A always contains silicone with vinylgroups and a catalyst, part B a vinyl and a cross link agent. MED-6400 and MED-6600 also contain amorphous silica to increase the viscosity and the tensile strength. Can silicone diffuses through the porous surface of the implant into the women’s tissue? Now we know how to differentiate the silicone types but one question which is really important is whether silicone diffuses through the porous surface of the implant into the women’s tissue or not? This is a question which can also be answered by Proton (1H) NMR spectroscopy. Explanted implants were analyzed concerning non-silicone ingredients. 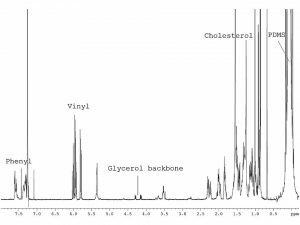 Several signals revealed in the 1H NMR spectra of the silicone filling material were identified as cholesterol and triglyceride which have diffused into the implant during implantation. Analyzing the implant shell, diffusing materials were found in higher concentrations (Fig. 4). This leads to the assumption that there is an exchange of substances between the human body and the implant. Where do we come into contact with silicones? Silicones are everywhere in our everyday life. 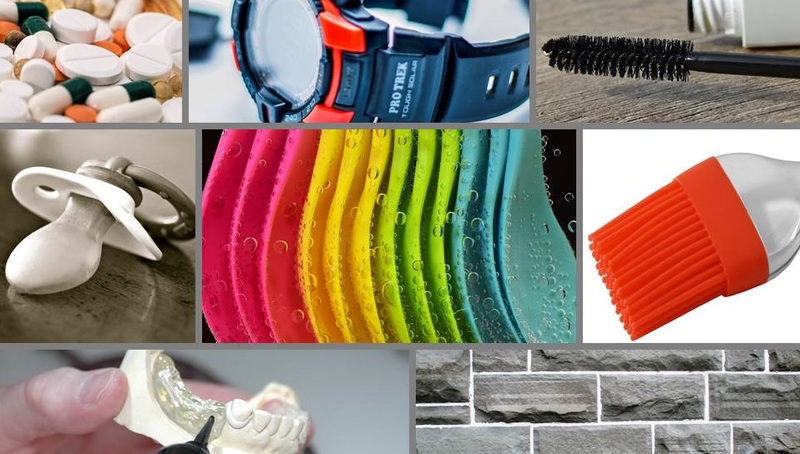 You find silicones in the automotive industry, heat resistant kitchen utensils, baby soothers, cosmetics, jewelry and a lot of other parts of your life. 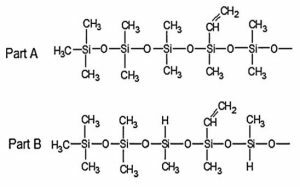 Silicones are versatile due to their resistant chemical structure. Silicone oil is often used as an electrical insulator or a liquid heat conductor to cool down the system without the problems which occur by using water. In contrast to edible oils, synthetic oils do not become rancid in the presence of oxygen. Based on these advantages, silicone oil as a cooling medium is often used in the manufacturing of cosmetics, pharmaceuticals and food. The use of silicone oil can lead to a contamination of the manufactured products, so a quality control of these products is essential which can be performed by 1H NMR spectroscopy. As presented in Fig. 6, signals which are 8 or 9.5 times higher than the noise are used for the quantification of 1.6 ppm silicone. This analysis takes 45 minutes to determine a silicone content in the ppm ranges – isn’t that amazing? As we learnt today, silicone is not silicone. There are several differences in their chemical structure which influences the quality grade and the effect on human’s health. Quality control is essential for ensuring harmlessness of material properties. Quality is what we encourage for!